Winter has come, as Fortnite goes Game of Thrones and covers the sprawling map in a blanket of snow. As Epic Games gears up for the season 8 of the blockbusting battle royal game, the title's latest mystery has just been solved as the Ice Storm event makes its mark.
. Just like rocket launches and tears in space, the addition of a giant blue orb had players guessing what was coming their way. The villainous Ice King is bringing trouble to the land of Fortnite along with his own army of frozen zombies. For the foreseeable future, it looks like things will be pretty cold in Fortnite . Frozen monsters known as Ice Fiends are currently spawning from blue stones scatted around the map, and come with a unique set of challenges to help players earn winter-inspired outfits and gear. Fornite fans may remember that frozen zombies have previously popped up in October's event's event. More than just a change to Fortnite 's visuals, the Ice Storm brings new tasks to complete. 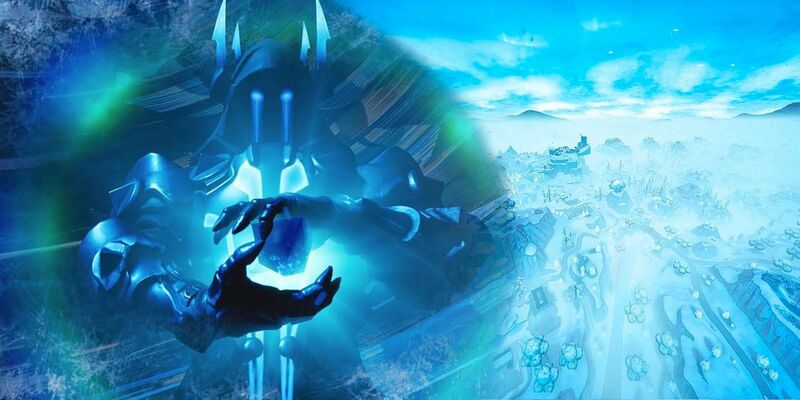 Destroying 250 Ice Age will earn fans 500 XP, while completing six ice storm challenges unlocking a black and ice blue wrap. There are 10 more challenges on the way, and if players complete them all, they will be rewarded with the Winter's Thorn Glider. This looks like it's just the start of something bigger. There is a secret where the iceberg used to stand in Happy Hamlet and a clutch of eggs in the castle prison at Polar Peak.